Developing standard operating procedures (SOPs) for any complex operation is no easy task. But when Lieutenant-Colonel Wade Rutland learned in November 2016 that the 1st Battalion of the Princess Patricia’s Canadian Light Infantry would be the lead mounting unit for the enhanced Forward Presence Battle Group in Latvia the following June, he knew he had a challenge on his hands. The Canadian-led battle group would be the most multinational of the four NATO formations in eastern Europe, comprised of five other nations – Spain, Italy, Poland, Slovenia, and Albania – with very different levels of NATO experience. Rutland, the Battle Group commanding officer, and his staff would need to provide the core of a headquarters, command and control, logistics, and a significant portion of the combat power and key enablers. 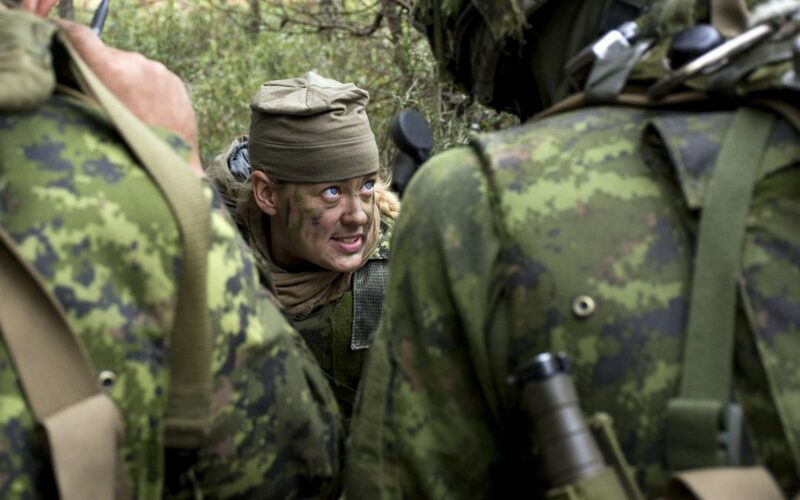 Although Canadian soldiers had already been deployed to Central and Eastern Europe from May 2014 to August 2017 under Operation Reassurance, the smaller company formation had largely delivered a training mission from a base in Poland. Before the Battle Group deployed, all six nations and the host Latvian National Armed Forces needed to be on the same page, working with the same SOPs. Some were relatively new to NATO and many were partners the Canadians had never collaborated with before. While NATO doctrine offered some general guidelines, it is geared more for Corps and Division-led operations. “A battle group is a tactical entity, and the kind of detailed tactical doctrine we needed just didn’t exist, except in each nation,” he said. Rutland reached out for advice from the Canadian Army Doctrine and Training Centre (CADTC), especially to an American exchange officer with coalition experience who shared a U.S. field manual on multinational operations. His team mined journal articles for information and even war-gamed out the challenges they could foresee. But the crucial step was a forum for the leadership of all six armies organized by LGen Jean-Marc Lanthier, at the time the commander of CADTC, who had experienced the U.S. Army’s method of a leader development program prior to deployments. 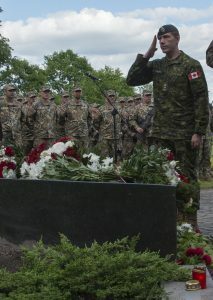 LCol Wade Rutland, Commander of NATO’s enhanced Forward Presence multinational battlegroup in Latvia, salutes after laying flowers during a ceremony commemorating the Latvian Day of Deportation. For a week in a room in Kingston, Ont., senior leaders from the six participating countries heard from European security experts, the commander of Canadian Joint Operations Command, and others to help “set everyone on the same mindset as to what the mission would be and it’s import,” said Rutland. On the last day, the experts departed and the Battle Group leadership was left alone, with a whiteboard and their thoughts, to work through a range of challenges they knew they would face. It was a novel approach that removed the onus from the Canadian headquarters staff to deliver the detailed integration plan and instead invited all of the participating nations to contribute. Communications – from callsigns to radio networks – quickly topped a lengthy list of obvious and obscure issues; which colour flags, for example, do you use to mark a minefield? By the end of the day, the Battle Group had found common themes to many of the challenges. Every country then provided experts to 12 working groups – communications, personnel policy, fire support, logistics – to develop some standards for the functions required to deliver the mission. After about two weeks, they had 64 SOPs across the various categories. “We had to do it because we were so mixed. We couldn’t just lay a Canadian book on the table and say, this is the doctrine. And because they were collectively derived, no one nation could say this is my SOP, so everyone had to read them,” said Rutland, noting that unlike the doctrine books in his office that could have been opened more often, he and each company commander had to read and sign off on everyone. Once the SOPs were agreed to, each unit then spent about a week at a whiteboard planning how to execute and another two weeks in the field practicing. The result of that early collaboration was an exceptionally detailed three-month integration plan that saw the Battle Group through NATO certification and a large-scale exercise against the Latvians similar to Exercise Maple Resolve. 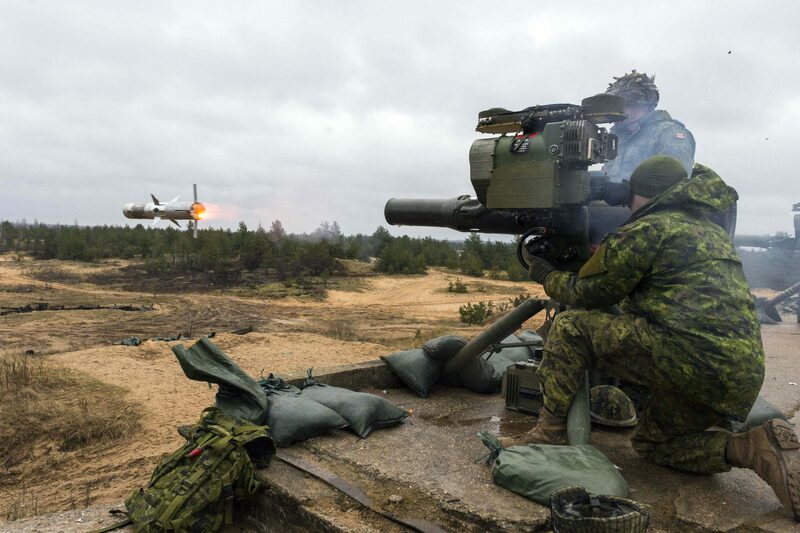 In fact, it was conducted by the Canadian Manoeuvre Training Centre in Latvia. With communications at the top of the list of challenges, technical interoperability became one of the first problems to resolve. Each nation had different radios and many of them wouldn’t talk. Ironically, while the communications problems were resolved, one of the lessons from the nearby mission in Ukraine has been to minimize digital and voice communications to avoid suspected interception or hacking by Russian military units. A side benefit to using more printed documents, Rutland observed, was frequent in-person meetings with his immediate boss in theatre, Latvian brigade commander Col Ilmars Lejins. Prior to deployment, one of the working groups had focused on information operations to ensure all soldiers shared a common narrative for why they were in Latvia on behalf of NATO. Russian state media frequently attack the presence and reasoning for NATO’s deployment, and create stories intended to embarrass commanders in theatre and their defence departments back home. The Battle Group also recognized the importance of national culture early in the planning process, and took pains to ensure different beliefs and practices did not become dividers within the formation. One of the first lessons for Rutland was to ask “why” if something became frustrating. An early point of contention, for instances, was meal times, an issue that could potentially affect morale. The Battle Group also designated one day in the week for each country to highlight its culture. Rutland, a member of the 104-year-old Patricias, got a reminder of how young Canada is when the Spanish company commander briefed on his regiment formed in 1504. As he handed over command of the Battle Group to LCol Sean French in January 2018, the SOPs were central to Rutland’s final words of advice: Use them. A year later, the importance of those standard operating procedures was still resonating in the Canadian Armed Forces. At the Kingston Conference on International Security in June, Bowes highlighted the first rotation’s effort to develop the SOPs and their role in bringing together a battle group.